Flender launched a year ago. What did you achieve since launch? We have funded c. 1,300,000 EUR deals through our platform and we are proud that our defaults have remained at 0%. We have just finished equity fund raise where we raised successfully 800,000 EUR from world’s biggest VC Enterprise Ireland and private investors. We have strengthened our credit team with head of credit Colin Barry who came from AIB Bank and David McNamara ex director of Merrill Lynch International Bank. David has joined our credit committee and board of directors. This all means that our lenders can be assured that Flender has best in class underwriting practices. Following due diligence, Price Waterhouse Coopers is heading our debt raise from institutional finance providers. We offer very attractive 10-11.5% interest rate to our lenders. Current default rate is 0% and our world class credit team will ensure great returns to our lenders. You now want to raise a 50M Euro debt package. What will that be used for? Can you please give details about the planned launch of property finance loans? Our target market will be property developers and builders looking for working capital towards last phases of construction. Target loan size is 250,000-750,000 EUR. How will these loans be secured? What interest rates can investors expect on the property loans? When will we see the first property loan listed on the marketplace? You recently repaid a convertible loan. Why did you decide to repay that loan rather than convert this into equity stakes in Flender? This was condition of our new equity investor. Investment allowed us to repay our loan participants with very generous 12% return. Flender holds permission to lend in the UK. How are your plans progressing to offer loans in the UK market? Our plan is to expand and grow our brand in Ireland. We will review our launch plan for the UK towards end of this year. What are the main challenges in growing the business right now? Now that our platform and model have been proven then our goal is to scale up. We would need to grow both the number of retail lenders and involve institutional finance for this. We welcome your readers to participate in campaigns on our marketplace. Can you share some demographics on your (retail) investor base? You have one wish that the regulator fulfils for you. What is your wish? We would welcome EU wide regulatory framework for p2p platforms. 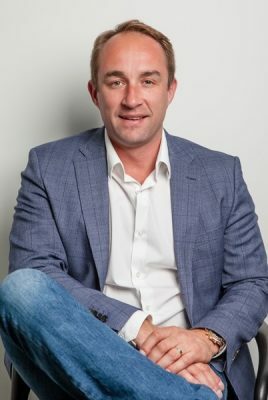 P2P-Banking.com thanks Kristjan Koik for the interview. Flender, which recently soft launched a p2p lending marketplace in Ireland, received full FCA authorisation last week, saying it took two years of consultation with the FCA and the legal team to achieve approval. This will be needed for the launch in UK, planned for later this year. Flender charges origination fees for business loans from the borrower. While there are no origination fees for borrowers for consumer loans, Flender does have a margin income on those (same with business loans). Once the UK operation launches, investments can be made cross-border. An interesting aspect is that the borrower will take the FX charges. Flender does have big plans. On the list are an IFISA offer, several features for investors and borrowers to customize the experience and mid term a secondary market. Flender currently has a team of 7 employees. 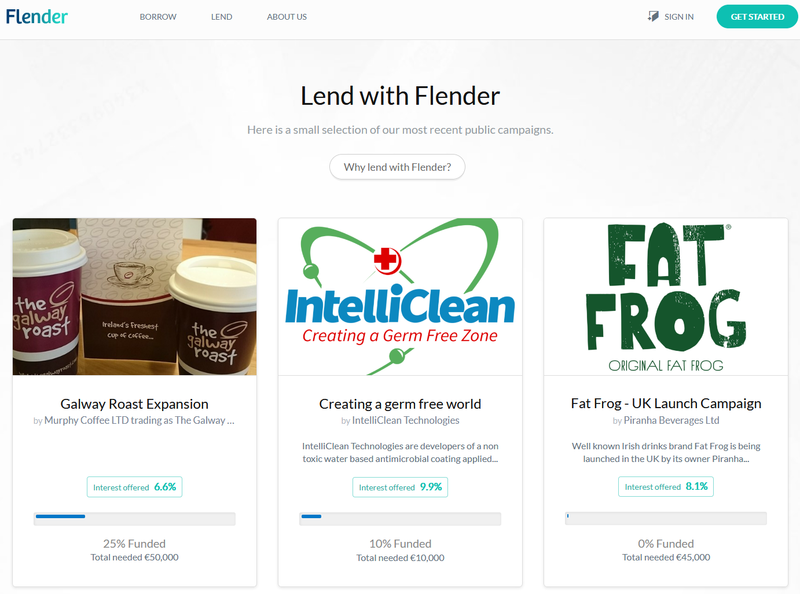 I published an interview with the CEO of Flender in the end of 2016, when they raised 500K GBP through equity crowdfunding on Seedrs. Flender will likely be back on Seedrs to raise another round later this year. As my experiences with another Irish p2p lending marketplace are good so far (it has low default rates), I registered on Flender too. There are currently 4 business loans listed seeking a total amount of about 150K Euro. Flender is a UK startup (with background in Ireland) currently pitching to raise 500K GBP from the crowd. Flender is a peer to peer finance platform which helps businesses and consumers to borrow and lend money through their existing networks. Businesses can leverage their customer base and strengthen loyalty; while friends become part of each other’s’ success. Flender does this while adding a new element of trust via social network connections. Flender emphasizes the social relationships between borrowers and lenders. Don’t you think borrowers are hesitant to ask friends and connections for money? The social lending market among friends, family and connections has never been formalized, which is crazy when you consider that this is a market worth over 3 billion EUR a year in Ireland and the UK based on independent research performed in September 2016. Asking people that you know for money – and lending to them – is an awkward thing to do and is certainly an unreliable means of finance. Whether it’s to fund further study, grow a business or to fund home improvements, Flender will let you borrow from and lend to people with whom you have a connection much more easily. For individuals, there is the satisfaction of helping others while earning more interest than a standard savings account while businesses can have access to funds faster and at the interest rate they prefer. Everyone wins. P2P lending has evolved a lot over the past 10 years. Your model has a back to the roots touch to me. Do you see your model as a reinvention of the true spirit of p2p lending? I believe p2p lending and the sharing economy is the future of finance. We have all lent or borrowed money at some stage of our lives and will use some sort of finance in the future – be it mortgage, car leasing, credit card, deposit account or investments. Similarly, we all have people in our social circles and professional networks who have money to lend or are looking for finance. It makes no sense that rather than doing these transactions with people who you know and trust we would do these with complete strangers with whom we know little or nothing. Flender is not trying to create a new marketplace. We are simply formalising existing massive social lending market and by providing a seamless user experience and having first- mover advantage we feel we can dominate this sector. Flender positions itself as different to other p2p lending marketplaces. Yet you take these as benchmarks for valuations in an exit. Furthermore your expected margin is much higher than those of other UK p2p lending marketplaces. What is the reasoning behind this?